In the spirit of back-to-school. Even if you are no longer a student, never stop learning. 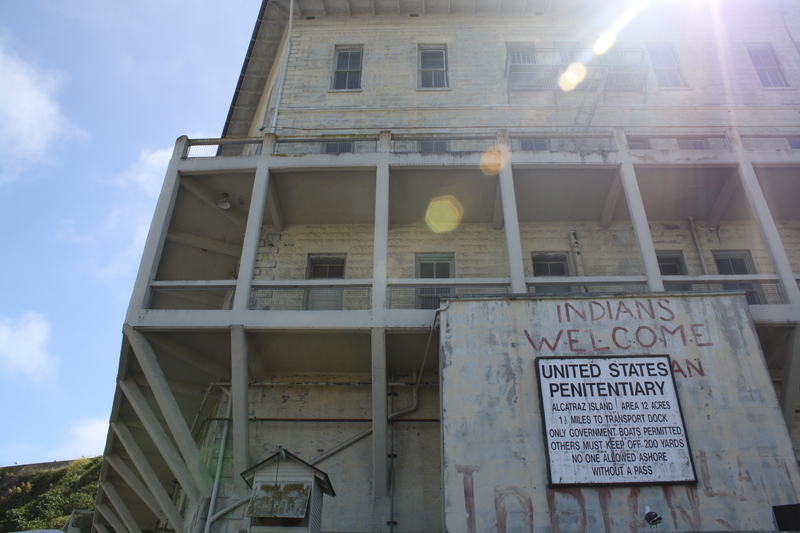 If you’re into history, or you just want to tour a creepy old, prison on a little island then you should definitely check out Alcatraz. It housed some of the most notorious criminals including American gangster, Al Capone. When you book your tour though, make sure you book one that actually allows you to tour Alcatraz. Some tours just drive a boat around the island and that’s not nearly as interesting or fun as doing the walking audio tour available on the island itself. To escape from the dreariness of the fog, many venture to Sausalito. 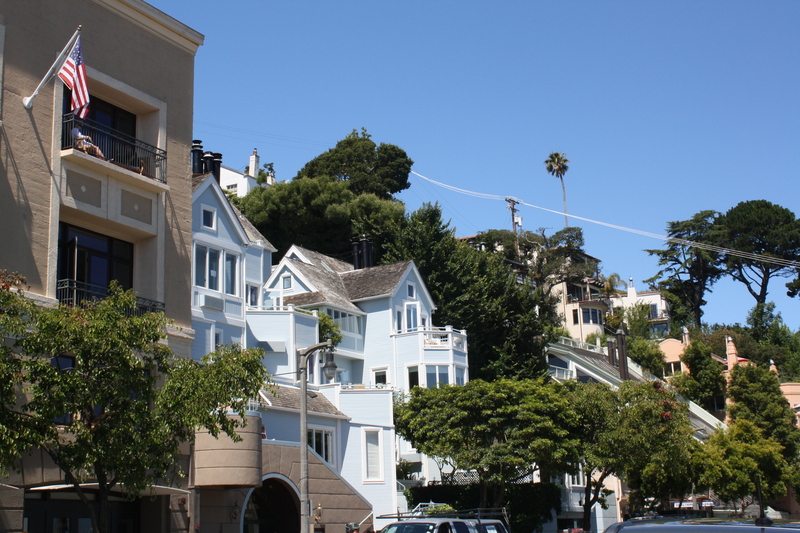 Located a short drive or ferry ride away from the big city, Sausalito boasts quaint, pastel-colored homes tucked away into the hillside. 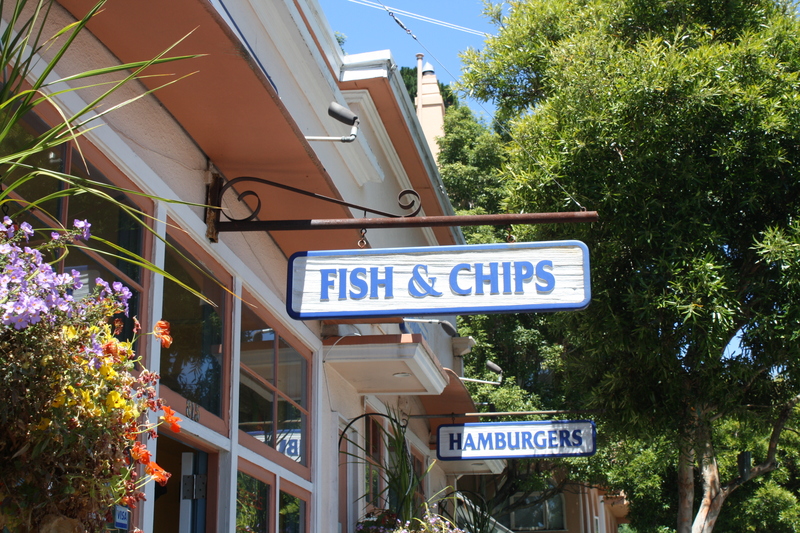 Sausalito also has plenty of independent shops that sell original pieces of art. I purchased some lovely historical photographs of the construction of the Golden Gate bridge and the cables cars on Market street. Oh there’s a great little fish and chips place too! 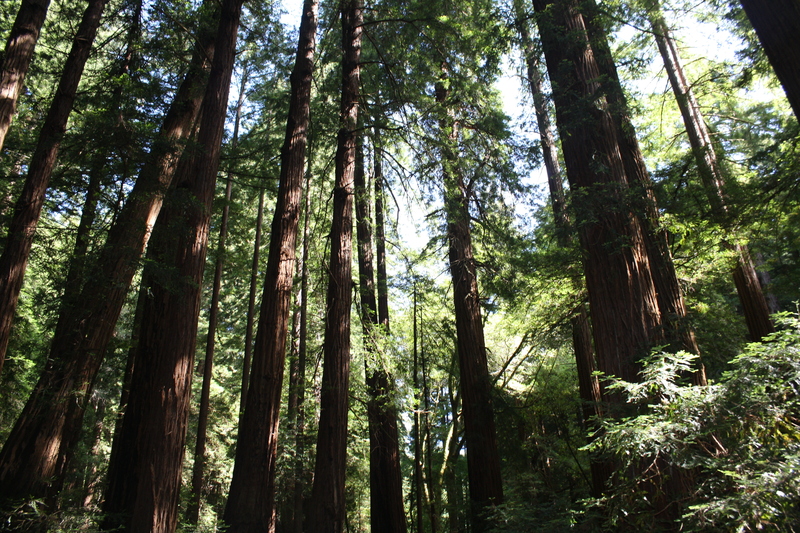 The giant, redwood trees in Muir Woods National Monument stretch over 100 feet tall and are yet another sunny oasis just outside of San Fran. 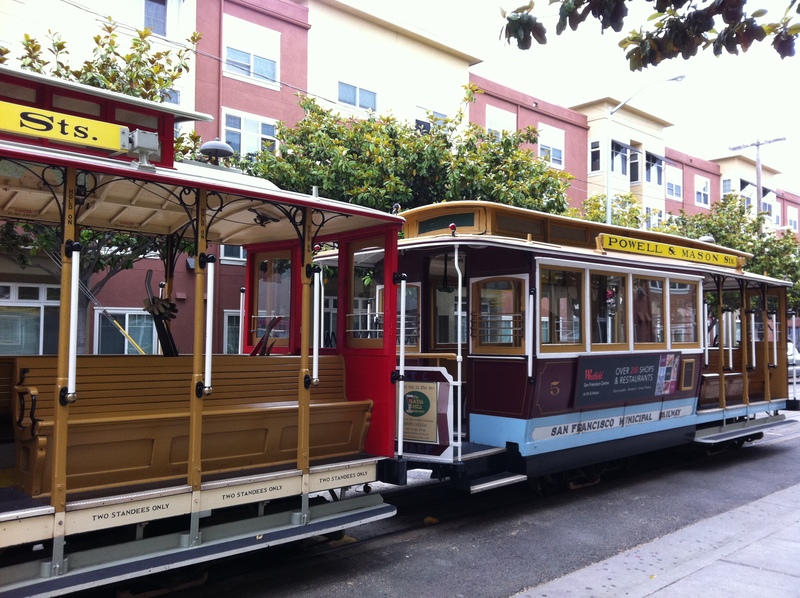 Back in the city, vintage cable cars run from Union Square downtown to China town. It’s true what they say, everything is cheaper in China town. But the cable cars are definitely NOT the best way to get there. 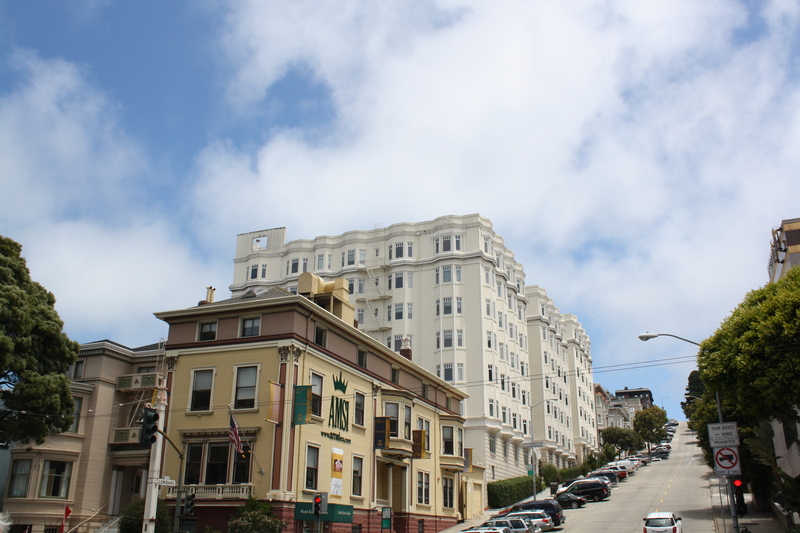 They’re over-priced but take a cable car at least once, just to experience the ride. Somewhere between China town and Little Italy (I can’t quite pinpoint where) is the most incredible bookstore I’ve ever seen! 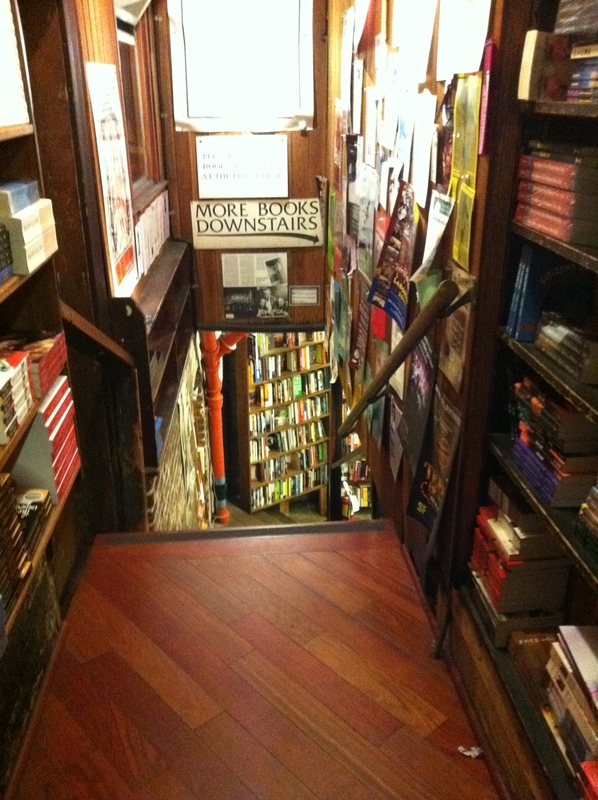 If you ever go to San Francisco and you love books, you have to go here! It’s called City Lights Bookstore and it houses a vast collection of local authors and best-sellers in an old 3-level store with creaky wooden floors and winding staircases. 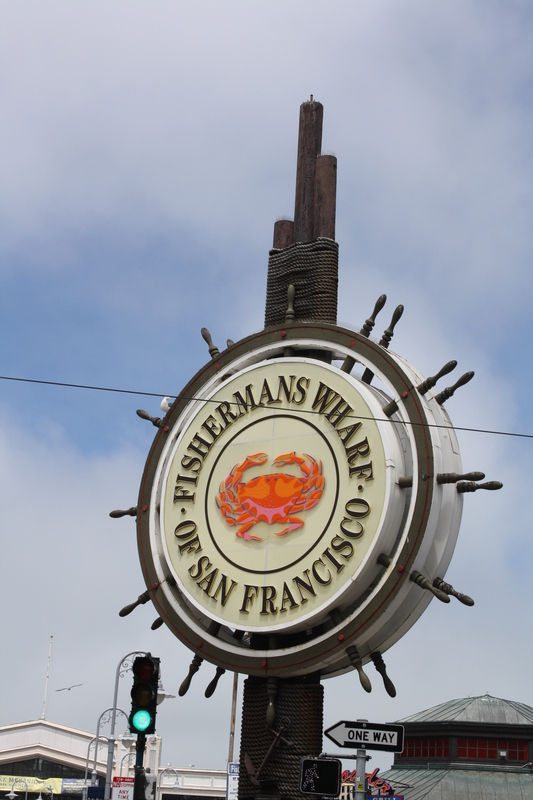 Pier 39 in Fisherman’s Warf was also a fun place to hang around. I think it’s probably one of those areas that locals avoid because it’s swimming with tourists but it has some of the freshest, finest seafood I’ve ever had! Lobster tails, clam chowder, oysters – YUM! Blue Mermaid’s California clam chowder is to die for! I was only there for four days but I loved it! 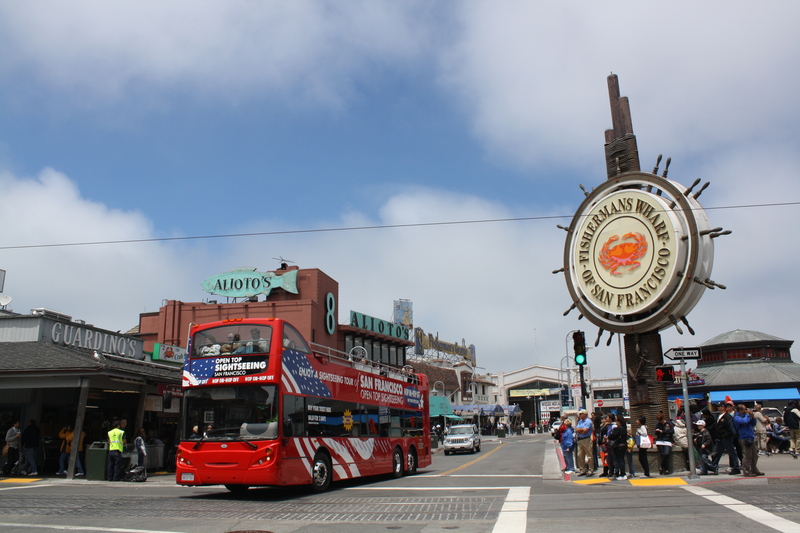 I would definitely go back… perhaps next time I’ll go later in the year when there’s a little more sunshine in the bay area. Oh and remember: if you’re going to San Francisco, be sure to wear some flowers in your hair!